When you want to enjoy in some frozen desert, keep in mind this recipe with coconut milk which is very simple, is dairy-free, and requires just 4 ingredients. 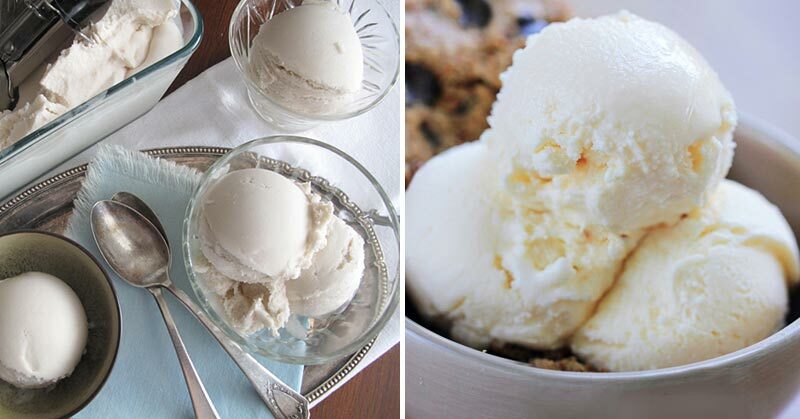 Its preparation doesn’t even require an ice cream maker, but just the ingredients and little time. This recipe for making coconut milk ice cream which is homemade is not like other homemade ice cream recipes that include mixtures of different sugary compounds, it demands only ingredients that are healthy. One ingredient is the coconut milk, or coconut cream which can be easily found at most health food and grocery stores, as well as online. Why the Main Ingredient is Coconut? It has enormous benefits on the health. That is why coconuts are constantly used by people in almost every food. Coconut milk is made by grating and heating the coconut flesh, and the cream that rises to the top is actually the coconut cream. Coconut contains high amounts of vitamins B1, B3, B5, B6, C, E, dietary fiber, and minerals. Lactose intolerant people can use coconut milk as a substitute that will provide you with the same goodness without causing upset stomach. Coconuts have huge amount of calories and fats, but these are good saturated fats (short and medium chain fatty acids), just like most nuts are. These fatty acids contain compounds which protect our body from all sorts of infections and viruses. This is the reason why the milk from coconut is a base that is ideal to replace the common ice cream and to treat yourself healthy. The coconut flavor is prevalent throughout this homemade ice cream, so coconut lovers will definitely love it. You need to chill the mixing bowl, as well as the canned coconut milk for about 15 minutes. Whip together the required ingredients using a stand mixer or egg beaters, until the mixture gets creamy and thick, which will take around 5 to 10 minutes. Get a lined freezer-safe container and pour the ice cream base. Then wrap with plastic wrap and foil. The coconut milk ice cream should be refrigerated from four hours up to overnight. Last tip: If the homemade coconut milk ice cream you have made is completely frozen, leave it for 10 minutes to unfreeze before tasting.